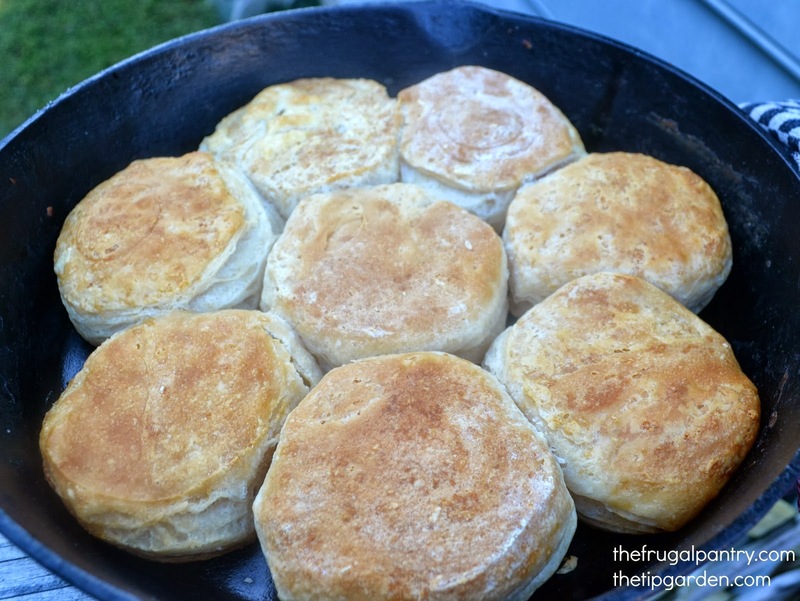 Ever struggle to get the top of your biscuits nice and golden brown without over browning the bottoms? My oven does not bake evenly despite using cast iron as well as parchment paper.While searching out recipes for fantastic freezer biscuits, I learned a neat trick for keeping the bottoms and tops nice and evenly browned. Keep an eye on your biscuits when there is 5 min. left on the timer, OR the moment you see a golden color starting to form on the biscuit tops, turn off the oven! Just leave the biscuits in the oven for the remaining time on the timer, but with the oven turned off. 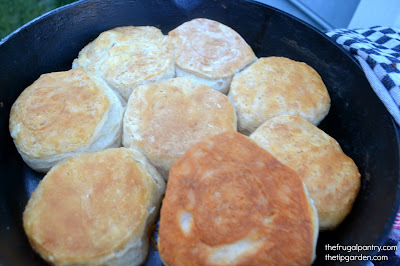 Then just pull out your nearly perfectly browned biscuits when the timer goes off. There is enough heat in the oven to continue browning the tops with out extra heat being directed from underneath (and thereby overbrowning the bottoms). Now, pass me the jam.